Recently I ran across the website (above) of maker, restorer and expert Roger Hargrave while doing some online research. If one clicks the “library” tab on his home page, you will find a series of incredible articles that he has written over the years for publications such as the Strad magazine. Here you will find great essays on technical and historical issues relating to string instruments, but it is the series of pieces on the nature of connoisseurship and the violin market that I find most helpful. His is a rare critical public voice in the current wilderness of over-commodification and increasingly unhinged pricing of violins and bows – a world where profit frequently trumps common sense and leaves musicians holding the bag. I encourage you to look at some of the following articles he has graciously made available. The ‘Sainton’ Controversy – Genuine or Fake? 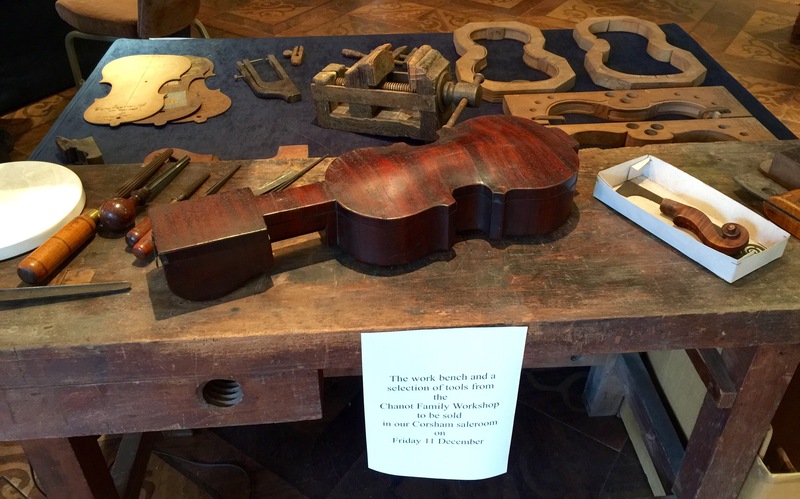 The craft of the connoisseur – What makes a violin connoisseur? When talking to violin and bow makers about instruments and bows one has to realize that you are bound to encounter a lot of dogma. These people spend long hours doing meticulous work alone, oftentimes without recognition or any sort of support or approval from their peers and/or customers. I believe this fact combined with the surprising lack of meaningful understanding the lutherie field has of actual working musicians and their needs leads to the creation of certain beliefs which are accepted as gospel. The truth is that luthiers can be somewhat insecure individuals who have jobs that most people in society don’t understand or have trouble placing in a greater professional and economic hierarchy. I think these insecurities can lead to the exaggeration of one’s own importance. 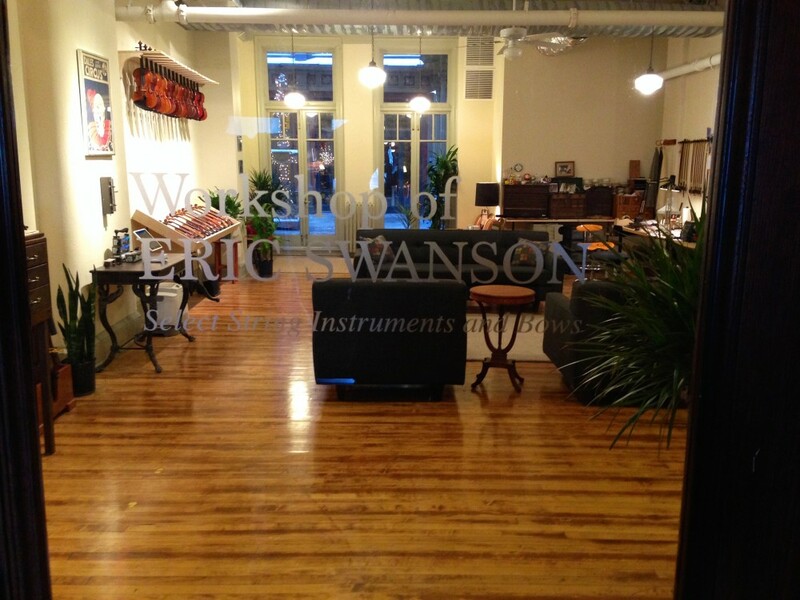 Consequently many luthiers over emphasize certain aspects of what they do. They tend to exaggerate their role in music and tone production, therefore creating many untested myths and technical principles. In fact it’s quite astounding how narrowly dedicated some members of this profession are to a certain technical ideology or belief system. There are some very good explanations for a worship of tradition such as the fact that most of us are busy either trying to re-create the artistic and technical accomplishments of the distant past or trying to maintain, restore and preserve antique instruments and bows. However, it is clear that both the violin and the bow would never have evolved if it weren’t for composers, musicians, and makers creating new and innovative music, techniques, and tools. This is why it can be so frustrating when one runs into such a pervasive atmosphere of myth, where professionals are so focused on the details that they become obsessed with them at the expense of seeing the bigger collaborative picture. Don’t get me wrong, understanding the relevant details and fundamentals of the craft is essential to doing good work, but it’s quite astounding how few of those in field work that way – from the bottom up so to speak. This is perhaps explained, at least in part, by the ad hoc professional education many possess, where they may never have been given a firm foundation to build on, unlike the many of the musicians they serve. There can be a thin line between a rational understanding of functional details and a kind of improvised voodoo designed to impress, redirect attention, and create mythology.